It’s been one of my sought after items to try in Taiwan. 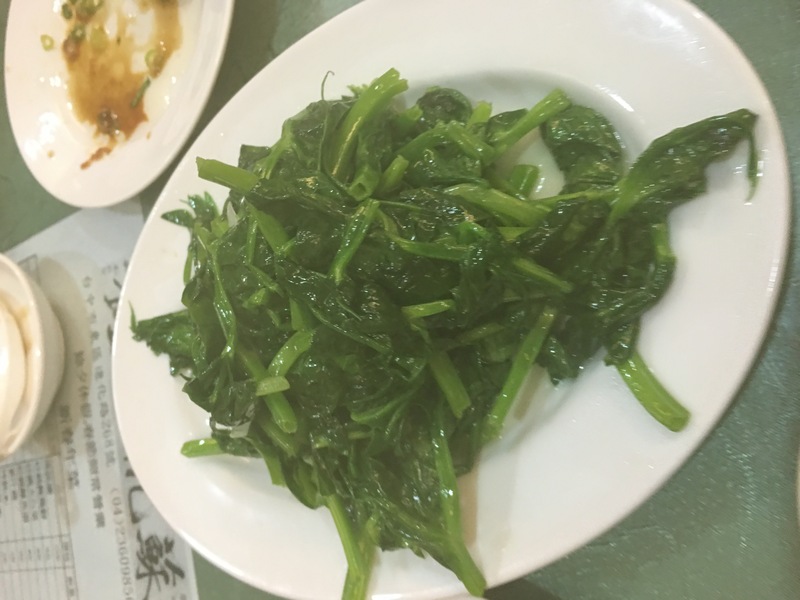 There is a “famous” place that I could have gone to but my host suggested Suheng. They haven’t steered me wrong yet. Suheng is another off the road side restaurant. However the surroundings were a little brighter and more updated. There were just a few large tables and someone making Shao Lung Bao towards the front of the restaurant. These items arrived as soon as we sat down. Soy bean sprouts were crunchy and earthy. Boiled peanuts were fresh. Surprising star of this meal was this sweet soy simmered fish. Oh my! Then the main line up. 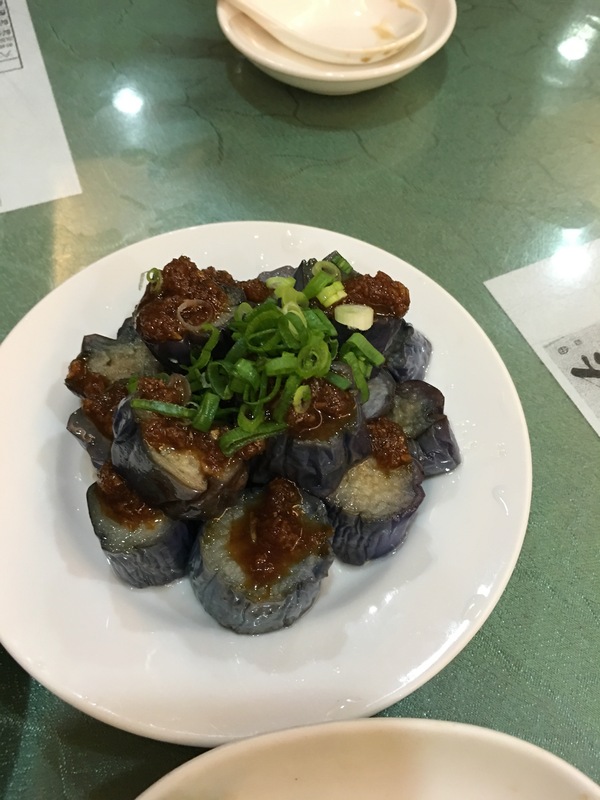 Steamed eggplant was earthy and fresh. 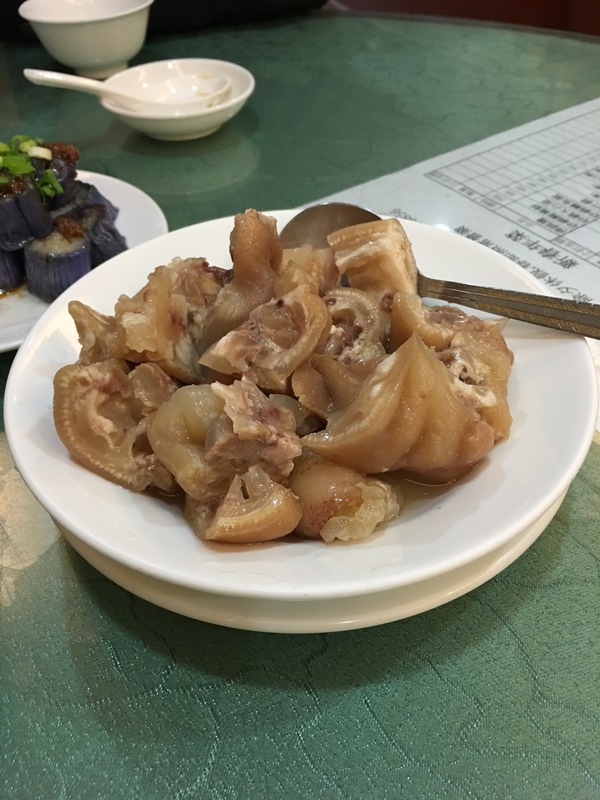 Pork feet simmered in rice wine. This cold preparation was crunchy with bold alcoholic flavors. 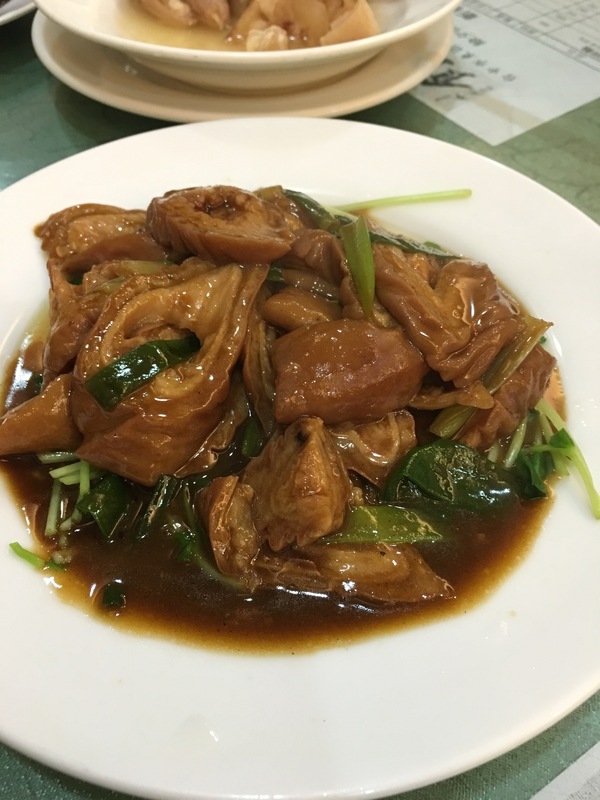 Pork intestines simmered in sweet soy. Clean, no barn yard flavors, soft texture. A marvel! 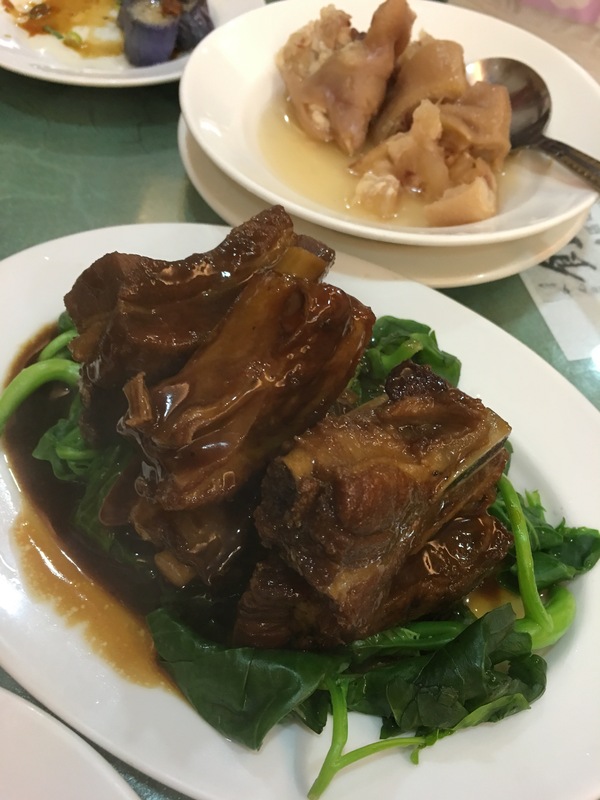 Pork ribs simmered in sweet soy sauce. Oh my! This fell apart with sweet softness that just melts. A real shining star. 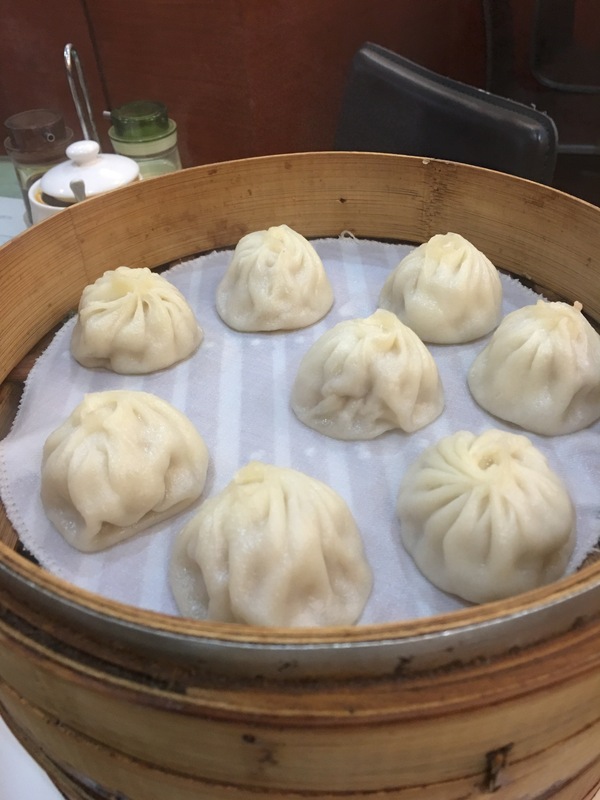 Shao Lung Bao dumplings filled with soup and pork. A little pierce and out oozed hot slightly vinegared soup, a few shreds of ginger on top with soy sauce and devour the whole thing. Creamy, melt in your mouth goodness. Well worth the plane ride of 24 hours! 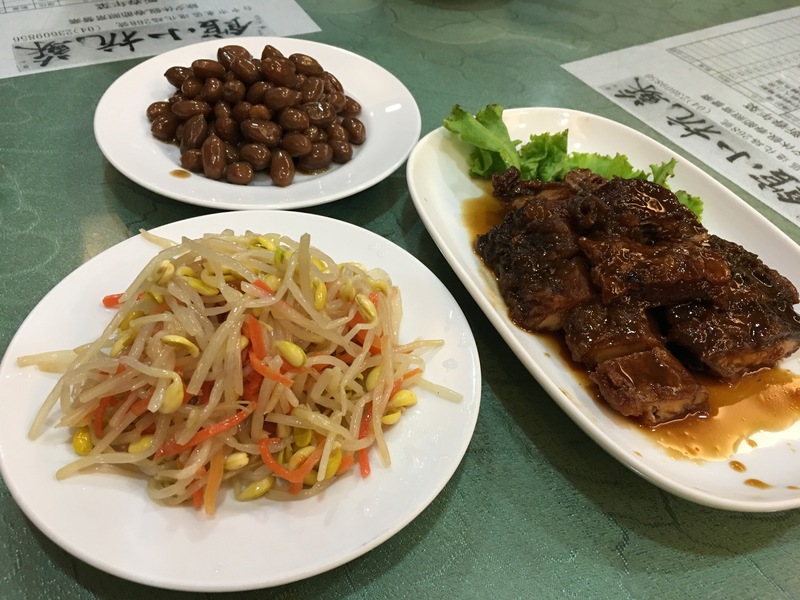 I’m told the sweet soy sauce based dishes in this restaurant originated from Suzhou, a city in Jiang Su province of China. 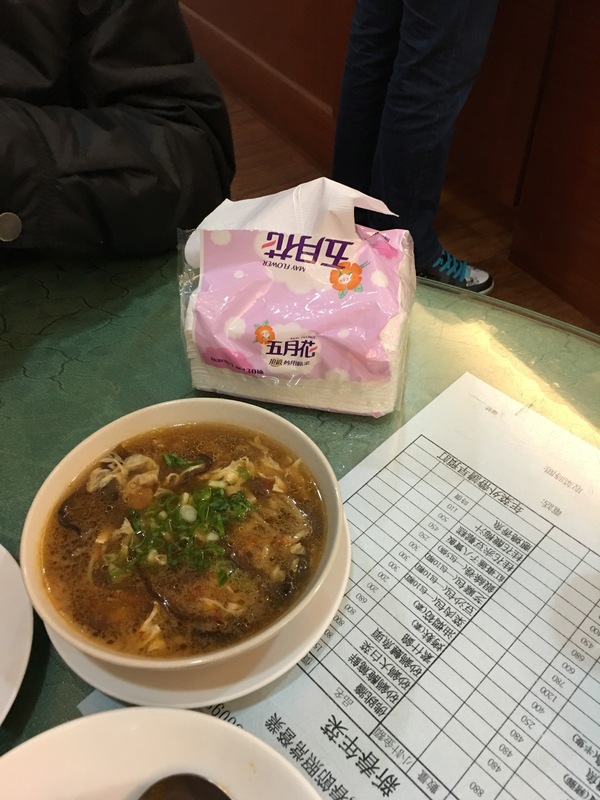 Just when I thought I’ve had all the great items of Taiwan, I encountered this wonderful place with great food. I’ve come to realize there will always be another great item to try in this culinary rich country.